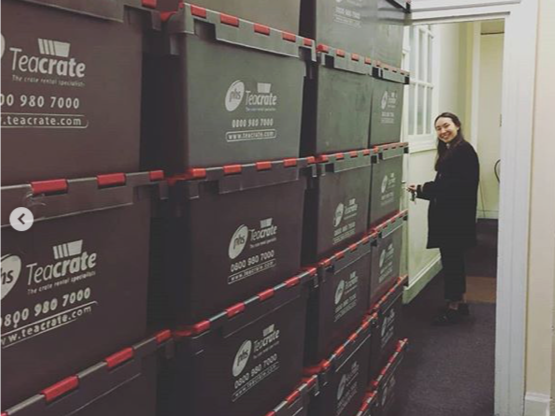 The first couple of weeks of January have been incredibly busy for the team at the Feminist Library, with sorting, packing and cataloguing of our tens of thousands of books and periodicals. 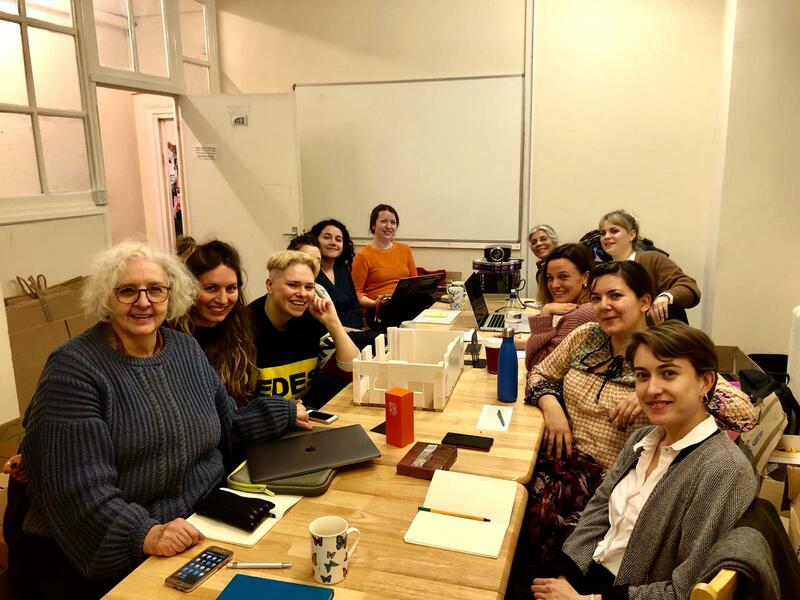 We met with our amazing feminist designers, makers and architects team to look at some graphic design aspects of the new space, colours, and material samples. We had an amazing meeting – and welcomed a new member to the team: graphic designer Anna Lincoln – which helped us visualise the new space much better. 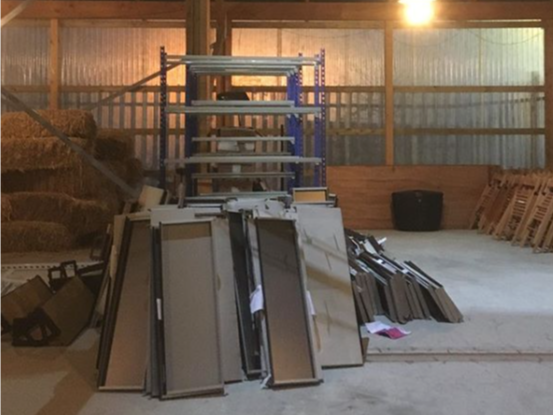 It’s going to be an amazing feminist space, in so many ways! 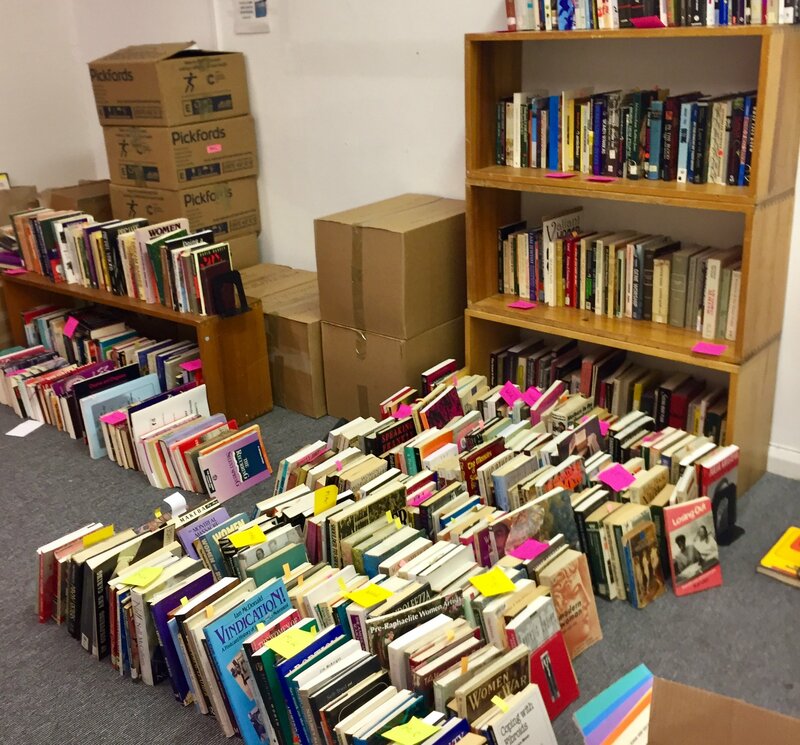 We sorted through thousands of books and periodicals to get the Library collections ready for the move of the shelves to the designers’ workshop. We had about 50 volunteers in over the first weekend of Jan, many of them new, and lots came back to help out during the week too! We are amazed at and incredibly grateful for all the support that we’ve received. Our shelves are now with the design team and the first stage of the new home for the Feminist Library build has started! Since then we have continued the process of sorting and cataloguing items in our collection. Training sessions have been run for interested volunteers in the cataloguing process and how to use Koha library software. ‹ The Feminist Library exhibits in Milan!